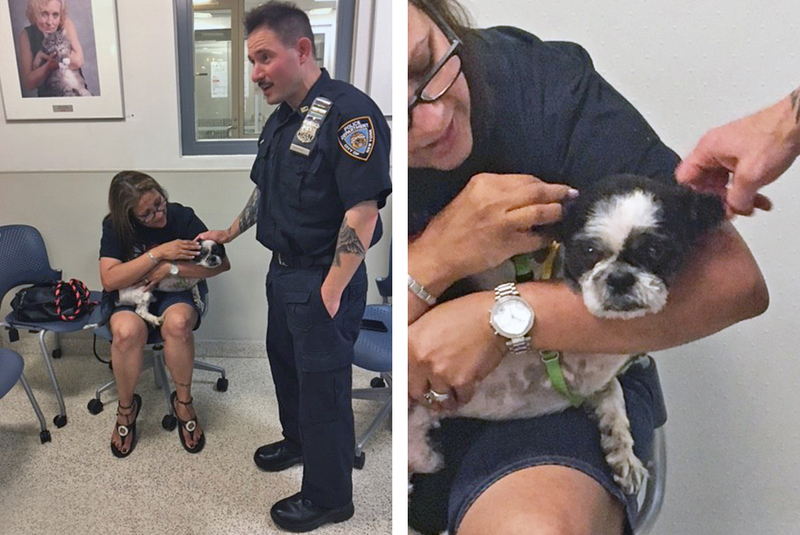 On June 2 of this year, a three-year-old Shih Tzu was brought to the ASPCA Animal Hospital (AAH) by a Good Samaritan who had found the dog abandoned in a Brooklyn apartment building. “Chaplin,” as he was later named, was then examined by ASPCA veterinarian Dr. Matthew Gordon, who found the dog’s fur heavily soaked with blood and fluids and the hair on Chaplin’s legs severely matted. Chaplin also suffered from a bleeding wound at the top of his right forelimb and was unable to put weight on that leg at the time of his rescue. After his initial exam, veterinary staff shaved Chaplin’s hair mats—which alone weighed more than a pound—and cleaned his wounds while he was under anesthesia. A bandage and splint were placed around his right front leg while veterinarians discussed whether they could save it. 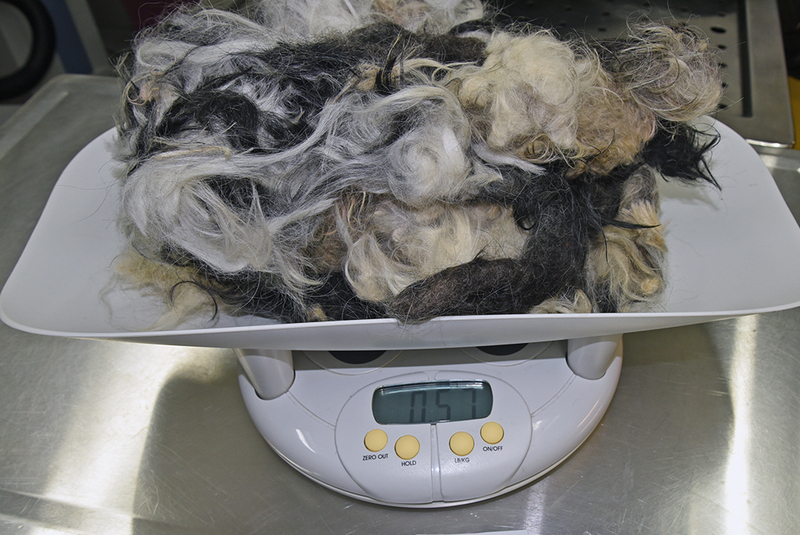 Severe matting can become a dangerous condition for animals, and can result in the loss of limbs if not properly treated. Chaplin’s matted hair, much of it tangled around his right front leg, was clipped and shaved upon his arrival at the ASPCA Animal Hospital. Dr. Gordon reported Chaplin’s case to the NYPD, which launched a subsequent investigation. 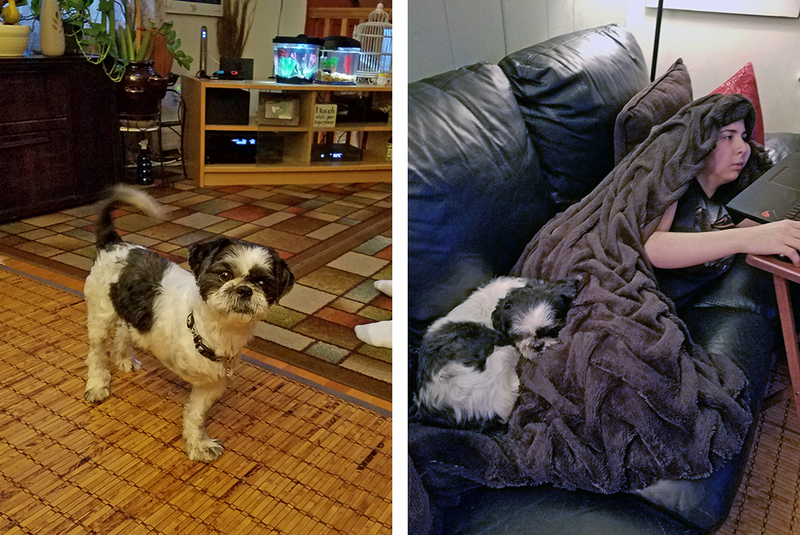 The following day, forensic veterinarian Dr. Alison Liu, who managed Chaplin’s case for the ASPCA’s Forensic Sciences team, conducted another exam. Chaplin’s right leg was not salvageable due to strangulating hair mats that constricted the flow of blood to his lower right front leg. Dr. Liu also said a foul smell from the wounds, along with cold, blackened tissue on the afflicted leg’s paw indicated signs of tissue death. 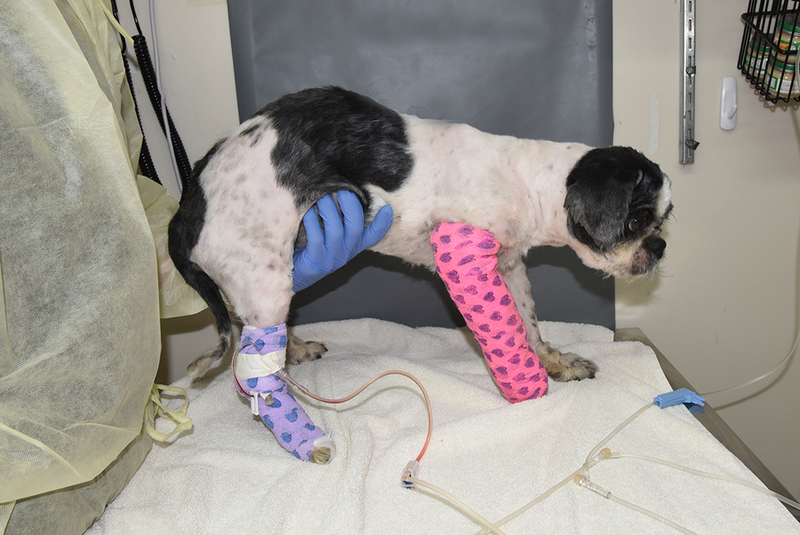 Chaplin’s leg was splinted and bandaged until ASPCA veterinarians determined that it could not be saved. Dr. Gordon and Dr. Melanie Glass performed Chaplin’s amputation to prevent Chaplin from experiencing any further pain or discomfort. Dog breeds with continuously growing hair—including Shih Tzus, Maltese, Yorkshire Terriers, Schnauzers and Poodles—require not only brushing, but careful clipping and cutting of their hair regularly. Later microscopic examination of Chaplin’s tissues indicated his wound was likely present for at least three weeks. Severe hair mats like his would take months to cause such a serious, strangulating wound. 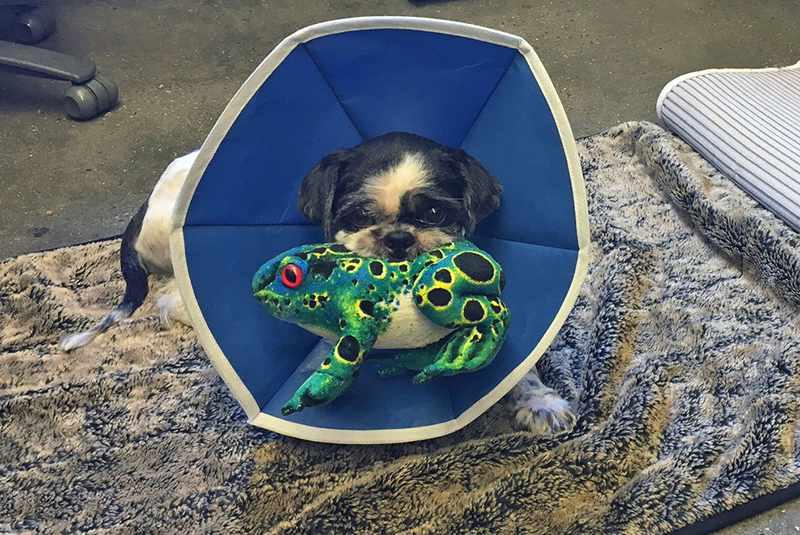 Chaplin at the ASPCA’s Animal Recovery Center following his surgery. Despite having suffered for so long, Chaplin was good-natured, and his calm nature made it possible for staff to test him with other dogs. “He always had a walking partner,” says Paulina Wass, Senior Animal Care Technician, who often co-walked him with other dogs. Chaplin and NYPD Commissioner James P. O’Neill at the NYPD’s headquarters. 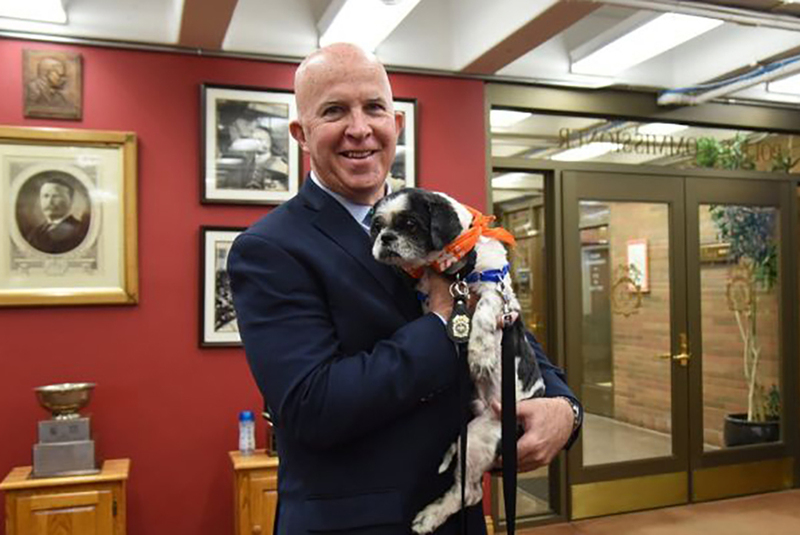 Officer Campanelli was on security detail as the three-legged Chaplin accompanied the Commissioner to meetings and appearances. He texted a photo of the pooch to his wife, Daphne, who quickly contacted ASPCA staff to arrange a meet and greet. Police Officer Vito Campanelli and his wife, Daphne, adopted Chaplin on June 27. The Campanellis visited the ASPCA a few days later and officially adopted Chaplin on June 27. They renamed him Jaimie, and a new chapter opened for this special dog. Chaplin, now Jaimie, at home. Jaimie get some quality time in with Vito at home. Now in its fifth year, the ASPCA/NYPD partnership has resulted in the treatment of more than 3,000 animals, like Jaimie throughout New York City. During the month of October, we recognize Adopt a Shelter Dog Month, and this year, we are honoring this important month with our #FindYourFido campaign. This movement is meant to encourage more people across the nation to take action for dogs in need and help make more matches possible. 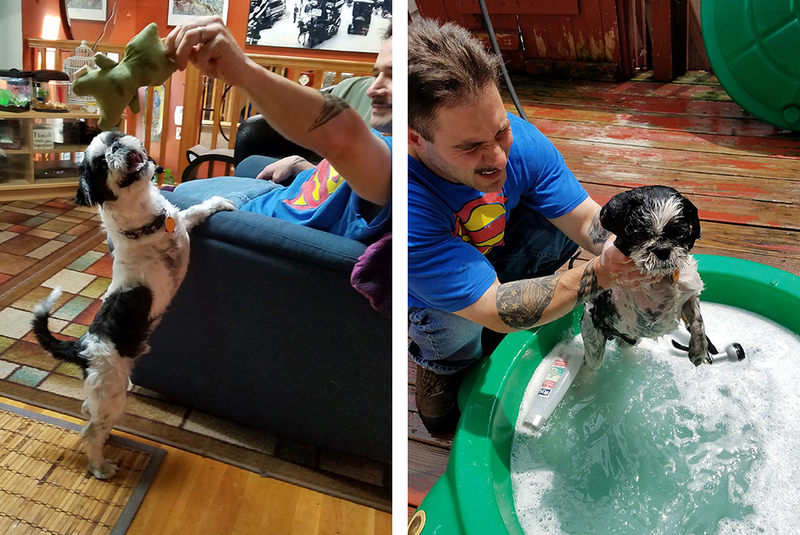 Together we can make more happy endings possible and give more Fidos like Chaplin the homes they deserve.